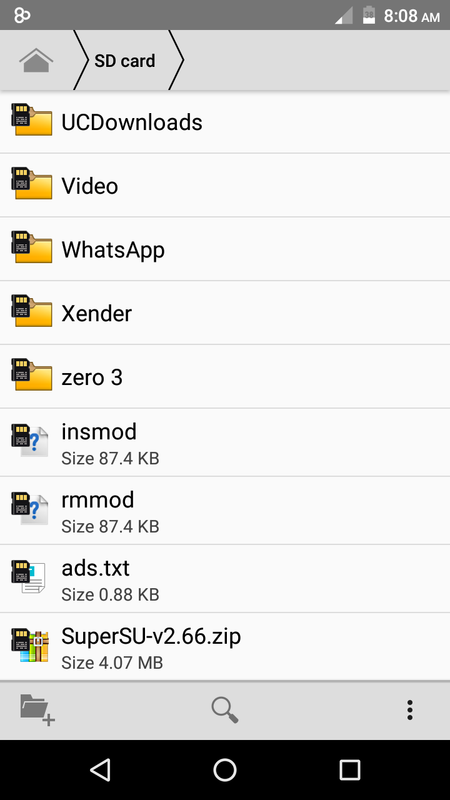 When you search the web, you'll find there are various posts about how to root your Infinix Hot 2 (running Android 6 Marshmallow) floating already, they're almost everywhere, I wanted to do this long time ago but didn't because I owned another smartphone, hence didn't have time to play with the Hot 2 until now that I got to root mine and changed the IMEI with no errors. 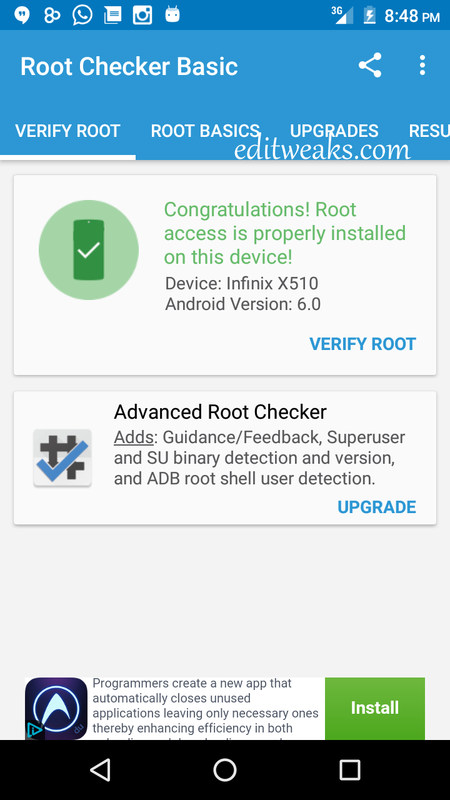 Also note that rooting is now a more important thing to do on Android 6.0 if you want to change the Infinix Hot 2 IMEI. I'll try to make this guide as simple as possible and "perhaps" different from the ones you may have read else where. 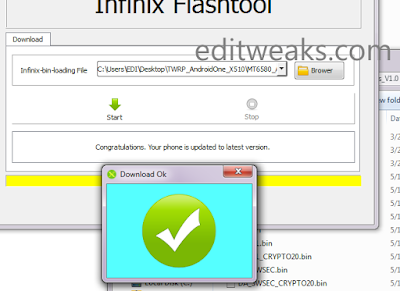 Let's quickly Root the Infinix Hot 2 X510 running Android 6.0 Marshmallow. 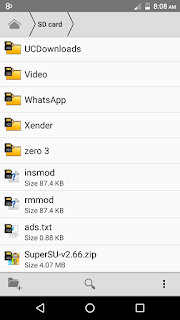 Secondly, move the Super SU.zip into the Root folder of your Infinix Hot 2. It should look like the Screenshot below when you had moved it. 4. Pick up your Hot 2 and activate Developer and USB debug mode(found in Settings). Switch off the phone and remove the Battery. 6. Now pick up your Infinix Hot 2 (Switched Off & battery removed) and plug in the USB, and wait a few minutes for the file to install into the device. You get a "Download OK" pop-up if successful. 7. 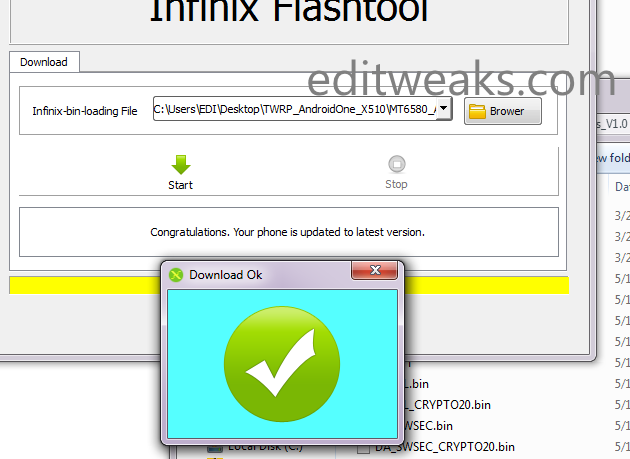 Again, flash the TWRP Recovery For Infinix Hot 2 using same steps in 5 and 6. Disconnect the USB when done. Flashing that TWRP is what grants you access to the Boot & Recovery Menu. After the Installation, go back to the Main Menu and select Reboot. After rebooting, SuperSU app may ask you to Download SUPER SU Installer to complete the Process, just switch your Internet on and Download it, once download it complete, it will install and restart your Device. Congrats, you've successfully rooted your Hot 2. 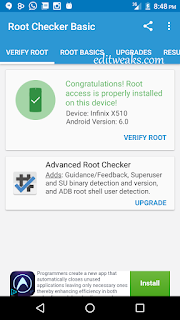 Use Root checker to Confirm root access. To do this, Simply Head to Google PlayStore and Install the Chamelphon APK. It requires root access and will change your Hot 2 IMEI. Hope this guide was easy for you. Hello, I appreciate your assistance in this regard. I have been trying to change my sisters infinix hot 2 imei. I have followed your procedure. But upon loading the enable recovery button, it refused to load. I'm stock here. I will appreciate your assistance as soon as possible. Thanks. Hi Anthony, you have to root your Infinix Hot 2 first before anything else. Get the requirements and start from STAGE 1 and 2 of this post. Bro if my phone can't connect to PC when it is on can i do the flashing while it is switched off? Not sure about that. Make sure you have a working USB that can connect, view and transfer files and folders of your phone on your PC. That's a sign of good USB.